Eldwin is a typeface created by Ksenia Belobrova and published by The Northern Block Ltd which is available in two style (Script & Capitals) each with 6 weights (from Thin to Heavy). You can mix them and have beautiful things. Also it comes with useful OpenType features and language support. It is ideal for editorial use, advertising, display, headline, magazine, packaging and so on. Enjoy! 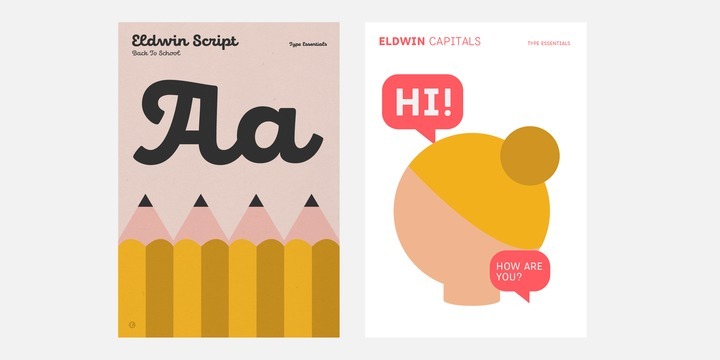 Note: “Eldwin” is a trademark of The Northern Block Ltd.
A font description published on Thursday, December 21st, 2017 in Fonts, Ksenia Belobrova, The Northern Block by Alexandra that has 2,164 views.